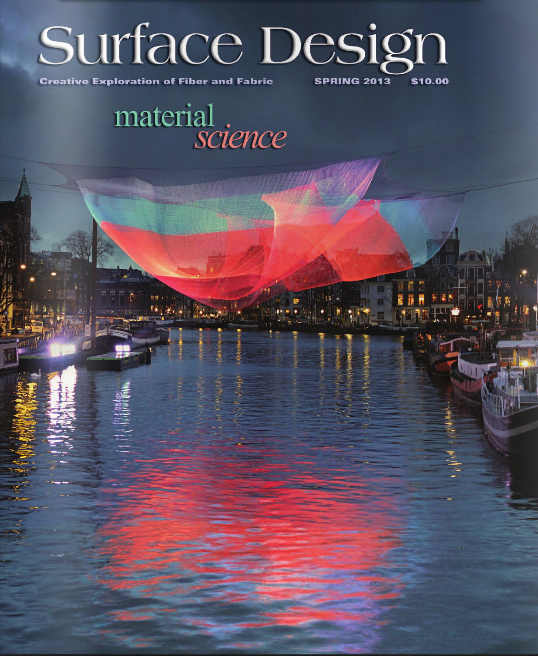 A big thank you to WSN members, Barbara Shapiro and Catharine Ellis, for reviewing and mentioning our affiliates, Natural Dye Workshop, Slow Fiber Studios, and master dyer Michel Garcia in the most recent issue of Surface Design Journal published by the Surface Design Association (SDA). Barbara Shapiro reviewed both DVD 1 and DVD 2 of the Natural Dye Workshop’s Sustainable Dyes: Colors of Provence and Colors of America. And to see either article in person, you can purchase or order this issue online simply by joining as a member! See here. The annual SDA Conference is this weekend in San Antonio, hosted by the Southwest School of Art. If you are in the area, or just curious about it’s happenings, visit the website, here. This entry was posted on 31 May 2013 by World Shibori Network.